Does Diabetes Affect Homeostasis? Homeostasis is affected by diabetes and with millions of the world’s population drenched in the scourge of diabetes, a fundamental understanding of how the condition affects the overall functioning of the body is crucial to management and optimal control in order to enhance and ensure posterity and improved quality of life. In this article, we will be delving in to the somewhat tricky world of homeostasis (long, technical and boring name, I know!) and understand how this word affects the mechanisms of overall body functioning in the general scheme of diabetic affairs. 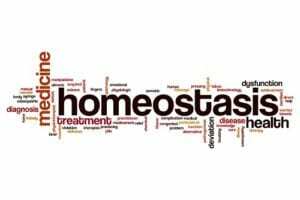 When we think of or hear the word HOMEOSTASIS, we sometimes assume a long face because, obviously, the word sounds like a boring, technical term; a term only doctors, med students, quizzers or polymaths would understand. However, what we fail to realize is that homeostasis is one of the most important body functions that exist and every single facet of this seemingly dull word constitutes some form of sustainability function that regulates the structure of our very lives!! Before we begin with this ‘oh-so-complex’ definition of Homeostasis, let’s begin by breaking down this chewy word. 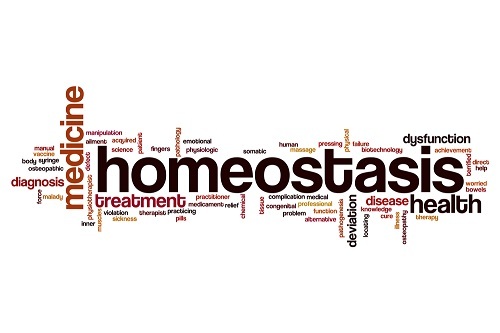 Homeostasis is a combo of two words: ‘HOMEO’ which means similar and ‘STASIS’ which means stable. To combine these two words, we can refer to homoeostasis as the ability of something to remain stable. Let’s take a trip through some logical analogies to further understand this point. To start with, let’s imagine the humble thermostat in a home or an office. A thermostat is a device which is used to regulate temperatures in order to keep the temperatures in a surrounding space at optimum levels, as predetermined by its user. Now, if the temperature in the house or office dips too far below the desired temperature (gets too cold), the thermostat senses this and sends a signal to the heating system (a heater or a furnace) to get things back to standard conditions. Conversely, if temperatures get too steamy, the thermostat directs the air conditioning to turn up a notch. This system of regulation is exactly the same in the human body. The human body has a number of mechanisms in place that regulate certain functions like heartbeat, blood pressure, body temperature, respiration, and blood glucose control. Homeostasis is any self-regulating process by which biological systems tend to maintain stability while adjusting to conditions that are optimal for survival. If homeostasis is successful, great! Life continues. If not, disaster or possibly death could ensue. Just like the thermostat in our first analogy, the body is made up of a bunch of systems that respond to variations or disturbances in the state of balance or equilibrium experienced by the body. When alterations happen, these systems tend to recalibrate themselves to account for the alterations and try to adjust so as to restore the body back to its original state of balance. A practical example is the hypothalamus in the brain. The normal body temperature hovers around 36.6°C or 98.6°F, but a number of factors such as hormonal imbalance, metabolic rates, fevers, etcetera can affect this temperature leading to either very high or very low temperatures. The hypothalamus regulates the body temperature and feedback about the current body temperature is carried through the bloodstream to the brain which results in adjustments in breathing rate, blood sugar and metabolic activity; all of which could play a key role in downing down the temperature. There’s so much going on inside the human body that we can’t see or consciously feel, but play a very pivotal role in making sure that we live the way we live. Our homeostatic mechanisms act like defense controls which make sure that balance is maintained and supported as long as possible to ensure optimal quality of life. Check Out the Video Below for More About Homeostasis! The diabetic condition is one which results from inefficiency in blood sugar regulation due to the body’s inability to respond to the production of insulin. This is a classic example of a homeostasis dysfunction, as we will soon find out. As has been previously established, homeostasis is a systematic function of the body that acts as a sort of defense mechanism that guard against imbalance. A person with diabetes has lost one or more of these defense mechanisms in the form of insulin production and blood sugar regulation. Since his pancreas no longer makes insulin or responds poorly to the production of insulin, his body fails to respond properly to the conditions of either Hyperglycemia (too high a level of blood sugar) or Hypoglycemia (too low a level of blood sugar). To put this in contrasting perspective, people without diabetes have their control mechanisms set in place to tackle the problems of hyperglycemia or hypoglycemia. The pancreas reacts to low blood glucose levels by decreasing its insulin secretion. If the blood glucose levels drop too low, the alpha cells of the pancreas release more of a hormone called glucagon which stimulates the liver to manufacture more glucose and release it into the blood stream. At the same time, the adrenal glands secrete more of a hormone called epinephrine. This hormone keeps the body’s tissues from using too much. As we can clearly establish, these mechanisms are the reverse of the diabetic’s and hence people dealing with the evil incarnate that is diabetes need to do a lot more and work a lot harder in making sure that their states of homeostasis are kept in balance as practicably as possible. Insulin. That’s the key word when it comes to maintenance of homeostasis in the average diabetic space. Insulin is a hormone secreted by the pancreas which helps in regulating blood sugar levels in the blood stream. The average diabetic does not respond well to insulin production or does not produce insulin at all. This dysfunction affects the homeostatic mechanisms of the body and consequently creates instability or an imbalance which dents normalcy. 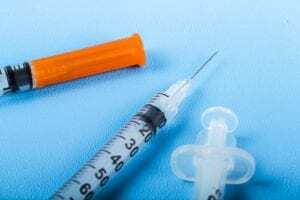 To manage this contrary dysfunction, diabetics require a daily injection of insulin, measured and administered by their healthcare professionals, in order to, at least, provide an alternate means with which to maintain stability in the body. Another way in which diabetics can control homeostatic dysfunction is to ruthlessly monitor and manage their blood sugar spikes, keeping them as low as possible. This can be done by carb cutting, dieting and eating foods with a very low glycemic index. Maintaining these levels of food and sugar control would go a long way in mitigating some of the risks associated with the complications that arise from homeostatic dysfunction. As a diabetic, one very important factor that can help in regulating homeostatic dysfunction is lifestyle and physical activity. Physical activity is essential for proper functioning of our cells and bodies. Making conscious efforts to get enough rest and indulge in sufficient physical activity can go a long way in maintaining balance in the body. Inactivity can worsen the complications of diabetes such as heart disease and cancer. Scientific studies have shown that regular indulgence in physical activities such as aerobic exercises have been a major plus in helping to prevent many of these complications. So does diabetes affect homeostasis? The diabetic path is one fraught with concern and muddied with a plethora of complications. Many a time, these complications can be effectively managed and controlled by understanding the mechanisms of diabetes and having the knowledge on how to effectively tackle these problems. The topic of homeostasis is one such knowledge that could mean the difference between good and evil in the mental space of a diabetic. Homeostasis is basically what keeps us going as a species and having a fundamental understanding of its defense mechanisms is key. The homeostatic demise in the body of a diabetic is one of sugar control. Understanding how this dysfunction can be mitigated plays a more than important role in maintaining the best possible quality of life. Phew! That was a pretty long journey. I’m sure you’re thinking, “Hey. The ‘oh-so-complex’ Homeostatic topic isn’t as complex as it seems!”. With that realization in mind, I hope you can bring balance to all forms of your imbalance!